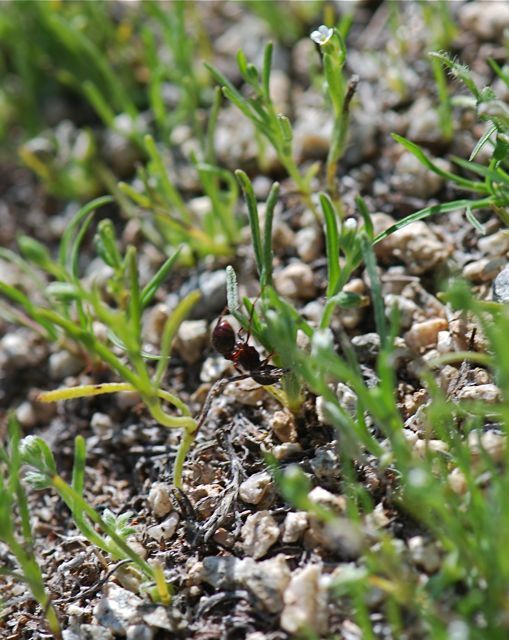 While observing the Messor Pogonomyrmex rugosus nest last week, I noticed one ant working on a seedling that was in a patch of other small plants to one side of the mound. 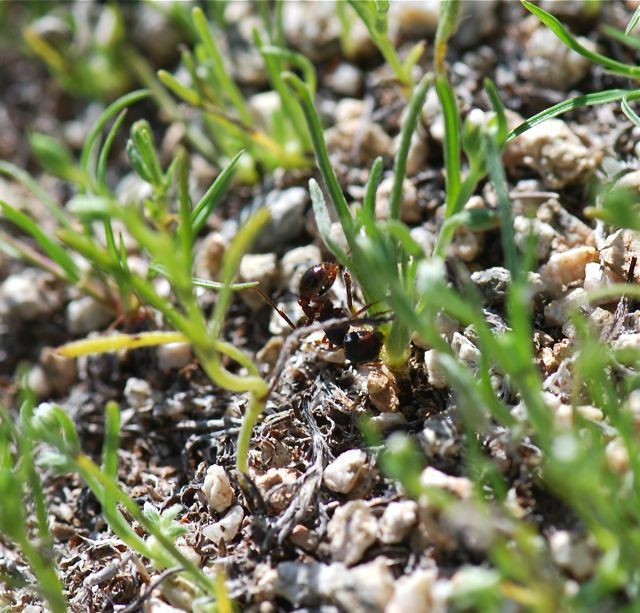 (These are mostly Pectocarya – combseed). 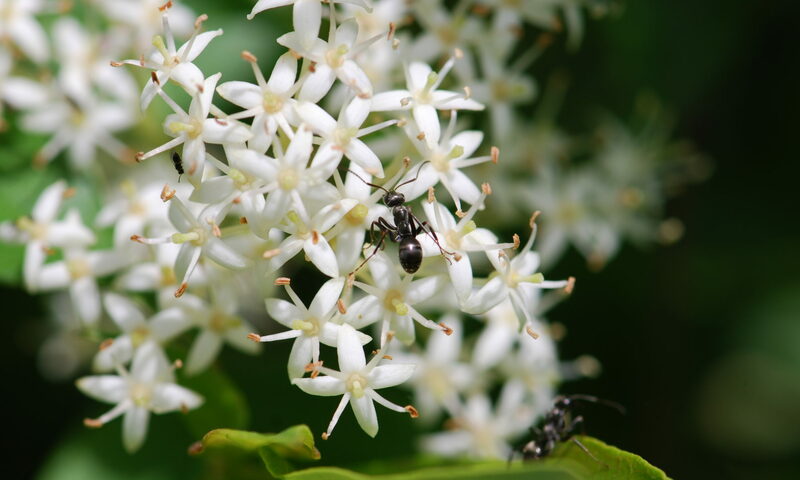 The worker ant seemed to be using its mandibles on the base of the plant. 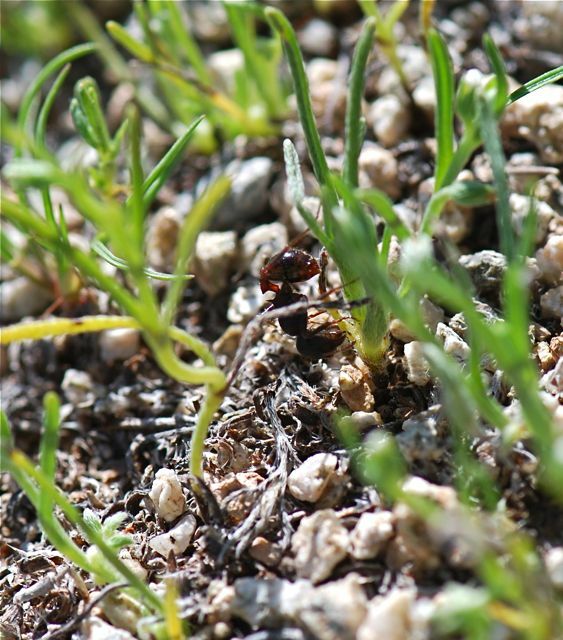 Of course, Messor worker ants clear plants from the area around the mound. It makes sense to prevent plants from shading the mound too much. 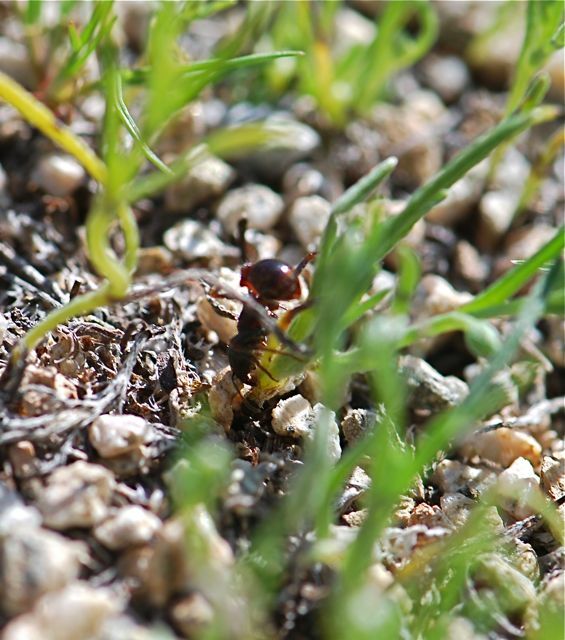 Ants are known to regulate the temperature within the nest via mound architecture. Wish I had more time to spend observing this activity. Do you have any ideas what this ant is doing? It’d make sense that Messor were cleaning their mounds of sprouting vegetation. But the ant in the picture isn’t Messor. It’s Pogonomyrmex rugosus, and I haven’t the slightest idea what she’s doing. Oh, thank you so much for letting me know. I saw the creosote middens and dark color and assumed they were Messor. Won’t make that mistake again.